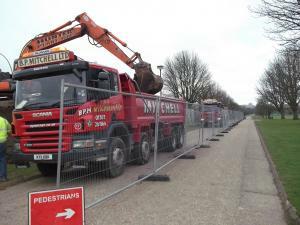 VertaseFLI was contracted to complete the remediation of a number of park areas determined as ‘contaminated land’ under Part 2A of the Environmental Protection Act 1990. Prior to its restoration as a park, the area had historically been used for sand and gravel extraction prior to its use as a landfill. Site investigations estimated that 2,750m3 of contaminated soils would require excavation, with the import of a slightly larger volume of clean imported soils to restore the park to a level surface. 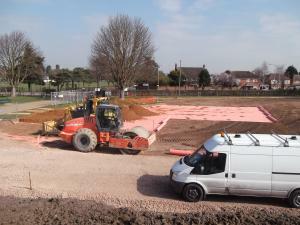 VertaseFLI managed all remediation works on site. These comprised the excavation of 450mm of soils from across the impacted areas and the replacement of the soils with clean, certified topsoil and subsoil. Prior to the placement of imported soils, a high visibility geotextile marker was placed at the base of excavation. Public, council and regulatory liaison. All excavated soils were sent to a treatment facility to avoid unnecessary landfilling of soils. The imporation of the topsoil was completed using an appropriate exemption from the Environment Agency. All soils were lightly compacted and carefully surveyed during placement to ensure that the topography and drainage characteristics of the park were not changed. The project was completed within a four week window.